One of the foremost Cambridge economists in the post-war period, Nicholas Kaldor began his professional existence in the Walrasian-Austrian tradition at Robbins's LSE - during which he made important contributions in the theory of equilibrium (1934), the firm (1934, 1935), capital (1939) and particularly, welfare economics, where he developed the famous "compensation" criteria for welfare comparisons (1939). After Keynes's General Theory appeared in 1936, Kaldor abandoned his LSE roots and joined the Keynesian Revolution - and even tried to convert Pigou in the process (e.g. 1938)! His seminal contributions to Keynesian theory include the concept of "own rates of interest" and dynamic effects of speculation (1939), the introduction of non-linear dynamics in order to create an endogenous theory of the business cycle (1940). Kaldor was also involved in an intense debate (1939, 1942) with F.A. Hayek, which helped bury the latter's venture into business cycle theory. An outgrowth of this, was his construction of the "Cambridge" approach to growth theory (1954, 1956, 1961, 1962) which invoked several Ricardian concepts and was to become central to Neo-Ricardian and Post Keynesian theory. He also adopted and developed Veblen's concept of "cumulative causation" and Verdoorn's Law (1966, 1970, 1977, 1981) - an early formulation of endogenous growth theory that also became part of the PK arsenal. Throughout his life, Kaldor remained a staunch critic of Neoclassical economics as a whole, and Monetarism in particular (1970, 1972, 1975, 1977, 1983, 1985), both in theoretical terms and in policy implications. In the post-war era, Kaldor applied his skills to development policy. 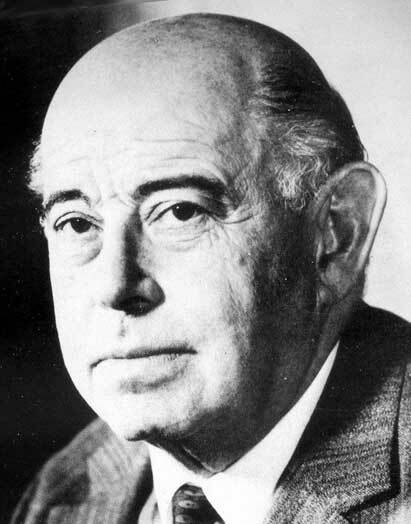 Among his policy advice to developing countries was his famous "Expenditure Tax" (1955) scheme (which was implemented in India and Sri Lanka, when Kaldor worked as an advisor to both countries) and his Bancor "Commodity Reserve Currency" scheme (1964, with Hart and Tinbergen), is yet to be taken up. Although his contributions to economics have been numerous and in many fields, Kaldor may be best remembered in forging, together with Joan Robinson, the core of the Cambridge School and its offshoots - the Neo-Ricardian and Post Keynesian schools. "Monetary Policy, Economic Stability, and Growth", 1958. "Economic Growth and the Problem of Inflation", 1959, Economica. "Keynes's Theory of the Own-Rates of Interest", 1960, in Kaldor, 1960. Causes of the Slow Rate of Economic Growth in the UK , 1966. "The Case for Regional Policies", 1970, Scottish JE. "Equilibrium Theory and Growth Theory", 1977, in Boskin, editor, Economics and Human Welfare. "Fallacies on Monetarism", 1981, Kredit und Kapital.